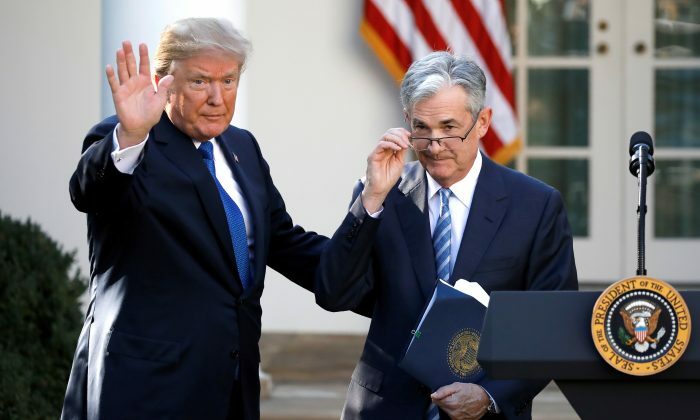 President Donald Trump dined with Federal Reserve Chairman Jerome Powell at the White House on Feb. 4 in their first meeting since Trump appointed Powell to lead the central bank in 2017. 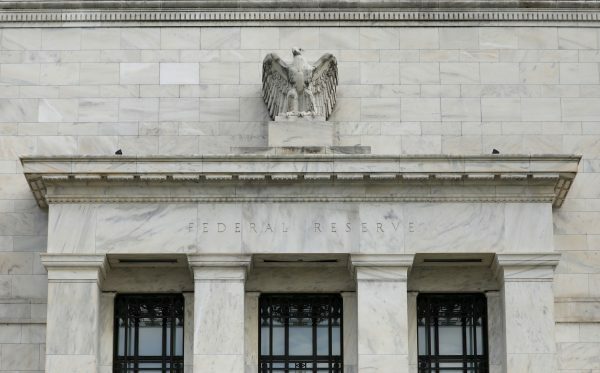 The meeting occurred after the Fed announced on Jan. 30 that it will not raise interest rates, a rare respite after the central bank’s spree of nine increases, which began in late 2016. The rate increases followed eight years of the Obama administration, during which the Fed kept rates at a virtual zero. Treasury Secretary Steven Mnuchin and Federal Reserve Vice Chair Richard Clarida also attended the dinner. The Fed chair meets with the treasury secretary regularly, but meetings with the president are rare. Powell said on Jan. 30 that the decision not to increase rates was based on recent economic developments, specifically the slowdown of global economic markets. Trump began to criticize the Fed publicly starting last year, saying that the interest-rate increases were harming the economy. The central bank is tasked by Congress to harness monetary policy in order to curb inflation, reach maximum employment, and prevent so-called boom-and-bust cycles. The central bank has largely failed to carry out its mission and has instead caused many of the booms and busts it was created to prevent. The Fed said in a statement that the president and the chairman covered a variety of topics during the 90-minute steak dinner, including “recent economic developments and the outlook for growth, employment, and inflation.” Powell kept his comments consistent with his Jan. 30 announcement and didn’t discuss his outlook on monetary policy. He stressed that the path he chooses will depend on economic indicators. Powell’s comments in this setting were consistent with his remarks at his recent press conference. He didn’t discuss his expectations for monetary policy, except to stress that the path of policy will depend entirely on incoming economic information and what that means for the outlook. “Chair Powell said that he and his colleagues … will make those decisions based solely on careful, objective and nonpolitical analysis,” the Fed stated. Trump’s criticism of the Fed has escalated since July 2018 as the rate hikes continued. In September, he told reporters at a press conference in New York that he was “not happy” with the rate increases. In October, at a campaign rally in Pennsylvania, he said the central bank had “gone crazy.” In November, Trump told The Wall Street Journal that the Fed was a “bigger problem than China.” In December, the president wrote on Twitter that the central bank was the only problem for the U.S. economy.